Hi my scrappy friends! 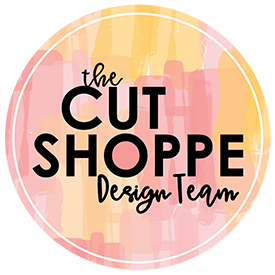 I have another layout to share for The Cut Shoppe. This layout uses my all time favorite alphabet set the Open Letter Alpha. 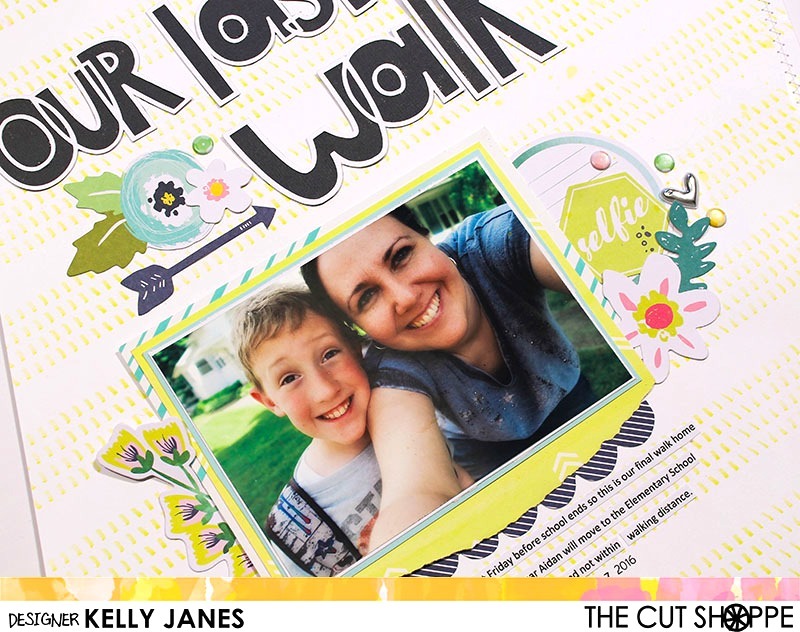 I struggled a bit with the design of this layout because the only 2 things I knew I wanted to use was the Open Letter Alpha Cut File & this photo. This photo was taken on the last walk home from school. Next year Aidan will move to a different building on a different campus that isn’t within walking distance from our home. I knew I wanted to document this because it’s a big milestone in our lives! I originally thought I would create a vertical design with the title at the top & the photo underneath but it just wasn’t working for me. So then I decided to go with the flow of the patterned paper. If you look closely there is a diagonal design to my background paper which is from the Hip Kit Club. I started by placing my title, which is cut on white cardstock and then backed with a dark charcoal grey cardstock, at a diagonal towards the top left hand side of the paper. I then placed my photo underneath the title. 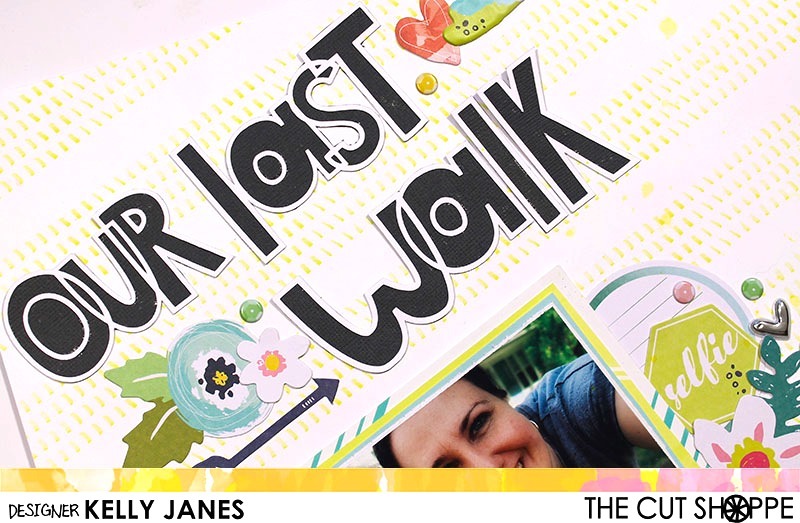 I backed my photo using Project Life Cards & patterned papers from the Hip Kit Club. Once I had those two things in place I started embellishing. I grabbed ephemera pieces & puffy stickers from the Hip Kit Club, a silver heart from Freckled Fawn, and puffy sequin stickers from Pinkfresh Studio. I recently purchased a printer and have been printing my journaling. Something I never thought I would do! I’ve always loved the idea of handwriting. Thinking of generations to come that will hopefully be looking at my scrapbooks and wondering if they would rather see my handwriting and typed journaling? I’m sure the answer would be my handwriting so I’m going to be sure to still incorporate my handwriting from time to time, but I love the clean look of typed journaling!! I’ve put together a process video that shows how this layout came together. 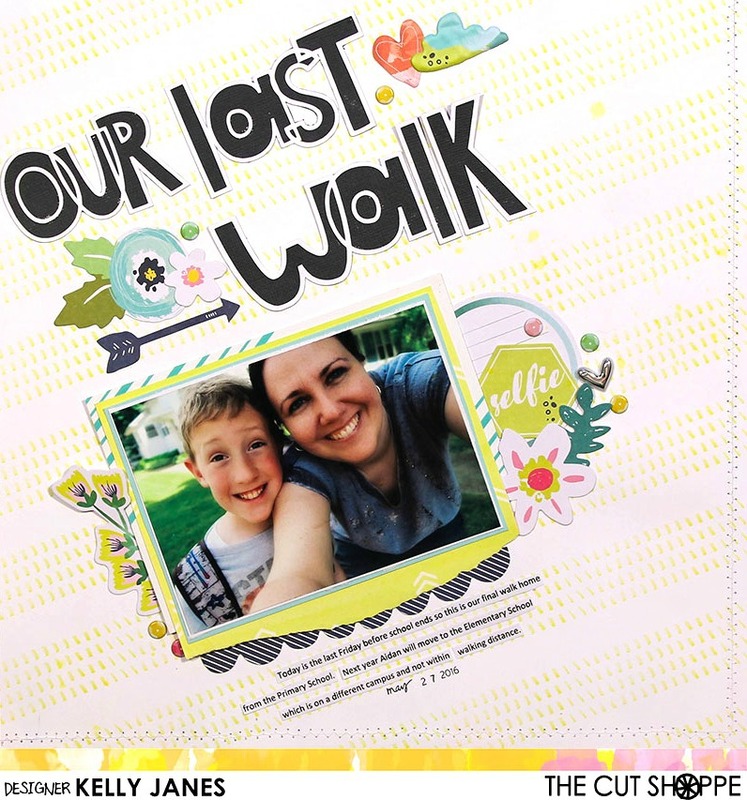 Including the process of how to use the Open Letter Alpha in Cricut Design Space. Thanks for stopping by & remember to check out The Cut Shoppe Etsy Store!